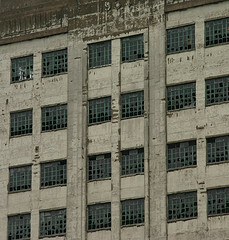 One point I accidentally omitted from my ‘Getting People to Use CRM Technology’ post relates to Broken Windows theory. Broken Windows theory postulates that cutting down on low-level crime, such as littering and graffiti, reduces the incidence of more serious crimes and underpinned the approach taken to reducing crime in New York in the late eighties. While, it might seem odd to consider littering and graffiti alongside CRM, one of the key impacts on the long term adoption of CRM systems is how well the system is maintained over time. If users see instances of poor quality data, inconsistent usage, or people operating outside the system, they will quickly conclude that the organisation isn’t serious about the system, and will gravitate to whatever course of action is easiest for them, which may well be not to use the CRM system. Which is why, if organisations are serious about generating value from CRM technology, the ongoing support of the system must be impeccable. Effective procedures need to be in place to quickly pick up on data quality issues, and to rapidly address non-compliance issues. Let a few too many issues go and you may find your system sliding into obsolescence. As with policing, low grade issues can have significantly bigger consequences. 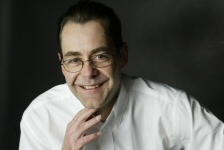 Richard Boardman is founder of Mareeba CRM Consulting, a UK based independent CRM consultancy. He works with mid-sized organisations to help them increase efficiencies and growth through the more effective use of CRM technology. Should I set up my own CRM system? Why an independent CRM consultant? In around 100 seconds. The system is live – now the real work starts!